To produce vegetable oils, the vegetable oil seeds firstly need to be pretreated in the pretreatment section. Then it would come to the pressing section. Oil removed from the oil-bearing vegetables usually by oil pressing machine, typically from the oil seeds. This process can be done via mechanical pressing machine or chemical extraction machine. The extracted oil can then be further purified and refined as the customer's require. 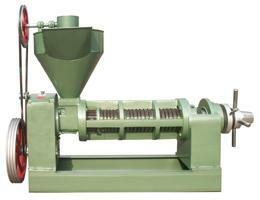 Single pressing machine is recommended for the vegetable oil mill owner. Cooker: Steam Jacketed horizontal cooker mounted on the Main Expeller Body. Gear Box: Heavy duty double reduction gear box assembly precision workmanship and fitted with heavy duty taper roller bearing to with stand radial axial loads for crushing. Main Shaft: A unique hollow drive sleeve arrangement to allow the main worm shaft to remove at ease without affecting gear box assembly. Also provision for water cooling arrangement for better quality oil and cake. Alloy steel structure: Main shaft, worms, and cage bars are made from special steel material with proper hardening to withstand operating pressure and long life. Electric Motor: Expeller drive with slip ring electric motor with special slow start up with reversible switch panel board, easy to restart which caused by power failure. Two chamber design – pre-pressing & full pressing in single stage crushing for better oil recovery & profitable operation. 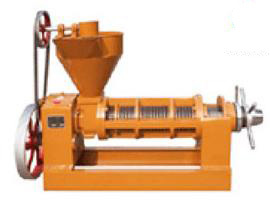 It crushes all kinds of oil seeds and special design system for cotton seed, sunflower seed, peanut, canola & palm kernel crushing. Contact us now to get the further information on our vegetable oil processing machine and make your vegetable oil mill the best ever.